• Fertilize acidic loving shrubs such as Azalea, Rhododendron, and Andromeda with an organic fertilizer such as Hollytone. • Mulch trees, shrubs and perennials with shredded leaves or bark mulch to protect the plants over the winter. • When you do plant trees, shrubs and perennials in the fall, be sure to plant them at least six weeks before the ground begins to freeze. Cooler daytime temperatures and warm soil promote root growth. Water them well at planting, and continue to water them until the freeze. • Fall is a good time to take a walk around your garden and do an assessment. Take notes about things you’d like to change next spring; such as adding a new garden bed, moving a shrub to a better location, or the plants you’d like to thin out and divide but don’t have time to do now. Add a wish list of new plants you’d like to put in. 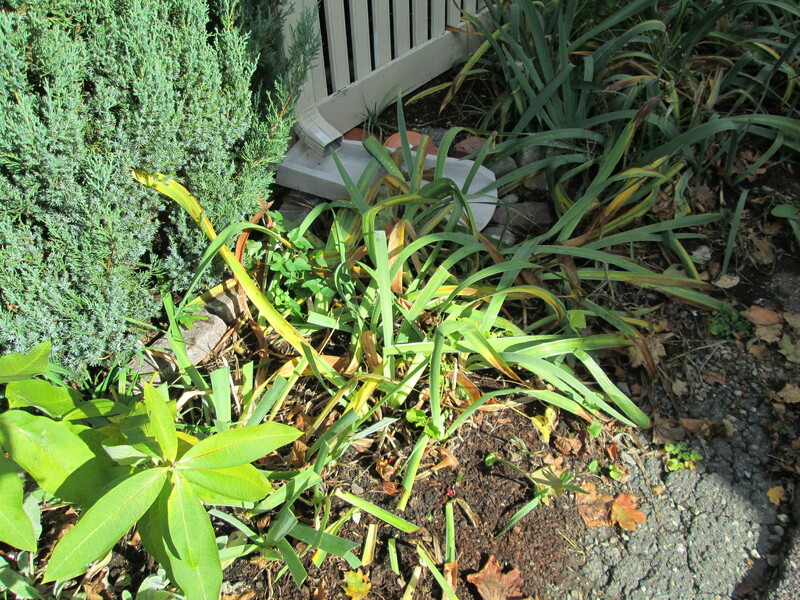 • If you expect a freeze, shut off and drain your garden hoses and irrigation systems.